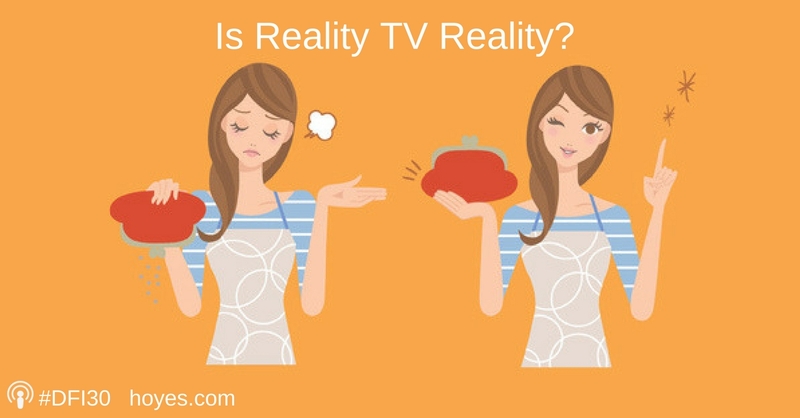 Home » Blog » Gail Vaz-Oxlade – Is Reality TV Reality? Today’s guest is one of the most well-known personal finance experts in Canada, Gail Vaz-Oxlade. Gail was the host of three popular television shows Till Debt Do Us Part, Princess and Money Moron. All were highly successful shows and provided balanced, useful advice on how to take charge of your money. In this week’s podcast we asked Gail why, since these shows were so popular, she wasn’t on TV anymore. Her answer was an interesting perspective on how reality TV works in contrast with what she was trying to achieve. It turns out she became quite frustrated with the tendency of reality TV to want to ‘run up the drama’ at the expense of the message which was to come to terms with whatever issues you are facing and then find a way to do better. It really doesn’t matter how many times you say to them, you know what, the stories are good, the people are interesting, watching the arc of them go from where they are to where they need to be is what it’s all about, they still want you to drum up the drama. Gail is also a very prolific writer, having written for many publications, and she is also the author of 12 books. Her latest book is Money Rules, and it does a great job of debunking some of the rules we follow about money that we should never have followed in the first place. We talked about a few key rules from her book on the show. Sticking with our reality theme, we talked quite a bit about the reality behind credit scores. Gail talked about why you should not obsess about your credit score. Today’s version of the credit scoring system is really all about marketing, not credit worthiness. As a measure of profitability, it’s a great measuring tool for the banks, but not necessarily for the customer. The credit scoring system wants you to have multiple sources of credit and it wants you to have high limits, and it wants you to use only a portion of those limits. For example did you know that if you make only the minimum payment every month (rather than pay the balance in full) your credit score improves? Yet leaving balances on high interest credit cards is in direct conflict with healthy financial decisions. You should always pay your credit card balances in full each month to avoid interest costs. Another ‘bad’ credit adjudication practice according to Gail is the current industry practice to use ‘gross income’ rather than net income to determine how much credit you can reasonably afford. Your capacity to manage debt payments should be based on your cash flow, which means using take-home pay, not gross income. This means making deductions for income tax, pension and insurance contributions, even RESP and RRSP deductions. Make sure you can afford your loan payments on what money you have left over in your pocket, not your total income. Callable Debt – What Is It? Another of Gail’s rules from her new book is to pay off callable debt first. As she explains, callable debt is debt your financial institution can demand you pay back with very little notice. This would be loans like credit card debt and lines of credit as opposed to term loans (your car loan for example) and mortgages. You are at risk with this debt if the bank decides they no longer want to loan you the money and if they do, you probably won’t be able to come up with enough money to pay it back on demand. Gail recommends that this rule trumps the traditional approach of paying of high interest debt first. 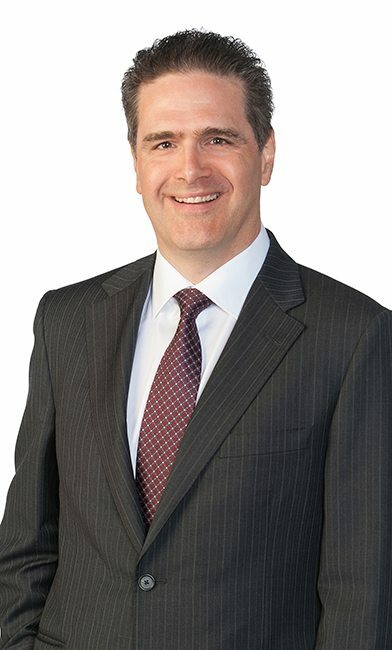 So for example, if your mortgage is at 4% and your line of credit is at 3% you should still pay off your line of credit first because it is callable, and your mortgage is not (unless you are crazy enough to have your mortgage in the form of a line of credit which Gail does not recommend). It’s clear Gail is more than just an entertainer and interesting guest, she can truly be described as an educator in the realm of financial literacy. But more than just teach, Gail wants to get the message out that you need to not only understand financial concepts, you need to do something about it. To that end we talked extensively about her new project – mymoneymychoices.com and what she wishes to achieve by building this website. Her goal is to get people to take action about managing their money, not just talk about it. Gail invested a significant amount of her own money into the building of this site, and it is free to anyone who signs up. It’s a great tool if you are looking for additional knowledge, and motivation, to manage your money better. Why Are You In Financial Trouble? Gail Vaz-Oxlade is one of the most popular financial experts for a reason. Her no holds barred approach really hits people in the eye with one fairly consistent message: You need to be the one to take action to take care of your debt problems. You may rail at the bank, the credit reporting agency or payday loan companies (okay, I rail at them too), but at the end of the day you have to be able to identify that you are too deep in debt and need to do something about it. The types of debt that most often trigger deep financial problems include credit card debt, high interest financing loans, payday loans and misused lines of credit. In our rebroadcast of one of our most popular podcasts, Gail calls these types of debt ‘callable debt’. She recommends you focus any debt repayment plan on this type of debt first, and for good reason. This is the type of credit that can be taken away at a moment’s notice. The bank can cancel your credit cards, your line of credit and demand immediate payment. If you don’t have a good credit score this could leave you struggling and at risk of bankruptcy. Today I’m very pleased to welcome to the show one of the most well-known personal finance experts in Canada, Gail Vaz-Oxlade. Gail was the host of three popular television shows, Till Debt Do Us Part, Princess and Money Moron. She is also a very prolific writer, having written for many publications, and she is also the author of, by my count, 12 books. My favourite is Debt Free Forever, a theme near and dear to my heart. Her latest book is also excellent. It’s called Money Rules, and it does a great job of debunking some of the rules about money we follow that we should never have followed in the first place. I’ve got lots of questions for her today about some of those rules. Gail, how are you doing today? Doug Hoyes: Thanks for being with us. So let’s start off with the gossip here. So you were the host of, I think, three shows, as far as I remember, and I’m sure right now one of those shows is airing on TV somewhere in Canada or around the world. They were big-time productions, watched by lots of people, and yet now you’re not doing TV. So what gives? Why aren’t you on TV anymore? Gail Vaz-Oxlade: Well, the whole time I was making television I was always fighting to keep the reality in TV. And it’s a struggle, it really is, because the message that comes from the network is drum up the drama. And it really doesn’t matter how many times you say to them, you know what, the stories are good, the people are interesting, watching the arc of them go from where they are to where they need to be is what it’s all about, they still want you to drum up the drama. So when I started getting very specific instructions of things to say and challenges to give, I decided I’d had enough because I just couldn’t keep beating my head against that wall any longer. And the straw that broke the camel’s back was when I was told, on a Wednesday or a Thursday, the whole show would be revamped as of the following Tuesday. And I said okay, I’m done. [Laughs]. Doug Hoyes: [Laughs]. That’s bad. Gail Vaz-Oxlade: I’ll work out the season, because I’m committed, but after that I’m retiring from television. Doug Hoyes: So the reality in reality TV was just not reality to you and you said move on. Gail Vaz-Oxlade: You know what? It was on my show, and everybody who worked with me knew that my commitment was to help whichever couple I was working with to come to terms – or individual – to come to terms with what their issues were and find a way to open their eyes, let them smell the coffee, whatever it was. And we did great shows. We made great shows that what actually happened actually happened, because I would not allow for the creation of the reality. And every time I got a director or producer that said we can drum this up, I’d walk off set or I would have a hissy fit or I would scream and yell and, you know, there were many f bombs dropped while I was making television. But the key crew that I worked with knew what this was about. It was about me fixing people and them capturing it for TV. Doug Hoyes: And as you know, I participated in, I think, all three of your shows, and yeah, they were real people. The last one we filmed was at somebody’s house, not far from where I’m sitting today. So I think they were great shows. It’s too bad you’re not doing those any more, but I see what you’re saying – if it’s not representing what you want to do then it’s not worth doing. It’s as simple as that. Doug Hoyes: So let’s talk about some of your rules. Now the book has 261 rules – we’re not going to go through all of them. I’ve kind of picked out the ones that I either really like or want some further explanation on. So rule number 35 – Don’t obsess about your credit score. Now I’m a bankruptcy trustee. When people come in to see me they say okay, I understand, I have to go bankrupt, but I’m really worried about when will I be able to borrow again, how’s that going to affect my credit score. You say don’t obsess about it. Why not? Doug Hoyes: Which is why when we’re in an economy where real estate values have gone way up, people can qualify for massive mortgages even though they probably don’t have the capacity to pay them back, especially if things go wrong. Gail Vaz-Oxlade: And the fact that we are still using gross incomes to calculate capacity is ridiculous, because nobody gets their gross income. And using gross income creates a false sense of security. Doug Hoyes: You think they should be using net income after taking off taxes and your pension contributions and everything else? Gail Vaz-Oxlade: Absolutely, because you look at even teachers who have great incomes, you take off all those deductions off their money and they’re living with far less cash in their hands than you would think looking at their gross income. Doug Hoyes: Well, unfortunately I don’t think in the near future you or I will get our wish and have bankers actually look at people and make decisions based on the real person. But it’s a very interesting perspective on the credit score. Let me ask you about rule number 75 – Pay off callable debt first. So this is an interesting one, because when people come in to see me I say well, you know what, what you want to do is pay off your high-interest debt first. If you’ve got a credit card at 20% and a credit card at 10, well, it’s the 20% one that you should be paying off first, you’ll save a lot more on interest. Now I realise when you talk about paying callable debt first you’re not talking about comparing one credit card to the other. What are you talking about and what is callable debt? Why should it be paid off first? Gail Vaz-Oxlade: Okay, so callable debt is the debt that your financial institution can demand back from you at any time with very little notice. Credit cards fall into that, lines of credit fall into it. Your mortgage is not callable debt, an installment loan is not callable debt, because you have agreed to make a payment over a specific amount of time. The problem is that when you say pay back your highest cost debt without making it callable debt, is that sometimes people have lines of credit at 3% and mortgages at 4%, and so they want to turn it around. They want to pay off the mortgage first. And I say no, you can’t do that, because the mortgage is safe in terms of the creditor being able to call it. But if the markets go into the tank and financial institutions are feeling strapped, then they can say to you give me back my $25,000 on your line of credit right now, right now. And you have to come up with the money. Doug Hoyes: – will be renewed after that. Yeah, and as more and more people get into lines of credit, which have, I think, replaced credit cards for a lot of people, they don’t realize how vulnerable they are if the bank decides too bad, then you’re potentially out of luck. Gail Vaz-Oxlade: Well, some people even use lines of credit as an alternative to a mortgage. Doug Hoyes: Yeah. Then you’re really in trouble. So very interesting. We’re going to take a quick break, and then I’ll be right back with Gail Vaz-Oxlade to talk more. This is Debt Free in 30. Welcome back to Debt Free in 30, where every week we take 30 minutes and talk to industry experts about debt, money and personal finance. Today my guest is Gail Vaz-Oxlade, radio host, TV star and author of many books. Gail, you’re obviously an entertainer, your shows were all interesting to watch, but I think even more than that you would probably describe yourself as an educator trying to teach people about money. So let’s start with the concept of financial literacy. What is does it really mean? What are you doing about it? Doug Hoyes: It’s a great buzzword, I know the Government of Canada now has a financial literacy leader, all the banks are pushing it. What is it? What are your thoughts on it? Gail Vaz-Oxlade: Well, financial literacy is knowing what you need to know in order to build a rock solid financial foundation. But it’s not just about the knowing, it’s also about the doing. And the big gap we have had so far is that it’s fine to say yes, I know I should contribute to my RSP, but if I’m not actually contributing to my RSP then I’m not getting any further ahead. Yes, I know I shouldn’t be carrying a balance on my credit card, but if I’m actually carrying a balance on my credit card then that knowledge component is in direct conflict with the behavior. And so I created a website called mymoneymychoices.com, because there was nowhere, anywhere [laughs], anywhere on the internet, nowhere in a financial institution, nobody had a plan. Everybody was talking about financial literacy and there was a huge debate about what should be included in financial literacy, but nobody was willing to step up and give a plan. And so what I did was I created the roadmap, and the roadmap starts at step one – you can’t get to step two until you do step one. You do step one, then you do step two, and so on, all the way through to the end. The idea being that you actually have to take the steps to make your financial foundation firm if you want to be considered financially literate. Gail Vaz-Oxlade: That’s what everybody says. Everybody says so how are you monetizing this, Gail? And I’m not monetizing it. In fact, this has cost me probably about $20,000 of my own money so far in order to put this program in place in terms of coming up with the structure and paying someone to build the website and purchasing the pictures that go on the website and all that other stuff. I am not interested in monetizing this. What I am trying to do is get Canadians – because I can’t be everywhere, Doug. Gail Vaz-Oxlade: And this is the thing, is that everybody wants me. And so what this does is this tells you exactly what I would tell you to do if I showed up at your door. If I showed up at your door the first thing I would make you do is do a spending analysis. So the first step in the My Money My Choices Program is to do a spending analysis. I’d make you make a budget, I’d make you make a debt repayment plan. Gail Vaz-Oxlade: Well, certainly. Because what it is is you can help each other as long as you can communicate with each other. You can communicate in your church community, you can communicate in your school community, you can communicate at work, you can communicate by Skype. As long as you can find a way to communicate and share information – and this is not a matter of sharing your personal information, which everybody wants nothing to do with. This is a matter of sharing the skill sets required in order to build your own financial foundation in a much more solid way. Doug Hoyes: So if someone’s listening to this today, they can go to mymoneymychoices.com, that’s the website, they can sign up for free, there’s no cost for any of this. Doug Hoyes: The first step is going to be the most difficult step, would you agree with that? Gail Vaz-Oxlade: The first level is the killer level. Absolutely. And I say to people, if you have the nuts for this, then you will make it through level one. If you don’t have the chutzpah to do the things in level one, then you can’t go any further, because you can’t get to level two until you do level one. Doug Hoyes: So if you can get through level one then you’re rolling, you’re probably going to get through all the rest of it. Gail Vaz-Oxlade: Absolutely, you will find the whole process far easier, because level one is the killer level. It requires that you do a spending analysis, it requires that you create a debt repayment plan, that you make a balanced budget, and that you make your first net worth statement. Doug Hoyes: And by doing that – this is not a quick fix. This is not oh, push a button, boy, everything’s going to be great. This is going to take some work but it’s going to set you up for the rest of your life. Gail Vaz-Oxlade: That’s right. And the first level takes some work, and the whole program takes time. There is no race to the finish on this program. There is no well, I’m going to get to level 23 before everybody else. That’s not the point. You are only measuring yourself against yourself, which is why you do that first net worth statement, because then every six months after that you’re going to do another one to see how you’re doing in the program. And as you progress through the program, what you’re going to see is you’re going to see yourself getting stronger and stronger because you’re going to be reducing your liabilities, increasing your assets, and putting in place the components you need to keep it all stable. Things like insurance, like an estate plan, like saving for your kid’s university costs or college costs – all the pieces you need are built right into this program. Gail Vaz-Oxlade: Absolutely. There is no point in esoteric blah, blah, blah about money. If you can’t actually go home and do it today, then I don’t have any time for it. Doug Hoyes: And that’s really what we need in this country, to get our financial literacy levels up to where they need to be, I guess. You said it’s knowing but it’s also doing. Those are the key things. Gail Vaz-Oxlade: Absolutely. It’s not enough to know. There are lots of people out there that will say things like, you know, well, what kind of investment should I be in, Gail? Gail Vaz-Oxlade: And I go “Really?” because are you carrying a balance on your credit card? And they say yes, and then I go then you’re not supposed to be investing it. The biggest return you will ever get from the next dollar you earn is getting rid of that credit card debt. Doug Hoyes: Yeah. That’s where it all comes down to. Well, that’s fantastic, I appreciate you joining us on this segment. Mymoneymychoices.com is where you can find out about what we just talked about. I’m also going to put some links to all your other sites. Thanks very much, Gail. 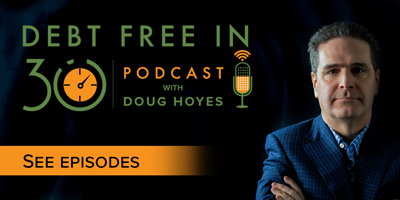 Doug Hoyes: This is Debt Free in 30, I’m Doug Hoyes, and it’s time for the 30-second recap of what we discussed today. My guest was Gail Vaz-Oxlade, and she started off giving a very candid explanation for why she stopped doing reality TV. She said quite bluntly that there was not enough reality in reality TV. She explained why she does not believe you should obsess about your credit score, and why she’s not a big fan of some banking practises. When I mentioned financial literacy, she had a good chuckle and then explained that financial literacy is knowing what you need to know, when you need to know it, to build a rock solid financial foundation. And of course it’s not just about the knowing, it’s about the doing. She then explained that that’s why she created mymoneymychoices.com, a website and a community to help you manage your money. When I pressed her on it she said it’s not a money making thing for her. In fact, it’s totally free, and she’s already invested $20,000 of her own money to get it going. That’s the 30-second recap of what we discussed today. So what’s my take on Gail and her message? I know some people don’t like her blunt approach, telling it like it is. Personally, I agree with her basic philosophy. In her book, Money Rules, she says “Your money is your responsibility. If you won’t take the time to figure out how it works, you shouldn’t be surprised when it doesn’t work for you.” I agree. Your money is your responsibility. And that’s why we do this show, to give some practical advice from experts to help you deal with your debt, deal with your personal financial issues, and know how to manage your money. That’s our show for today. I want to thank Gail Vaz-Oxlade for her very frank and honest comments. I put her on the spot twice – asking her why she quit reality TV and asking how much money she’ll be making on her new website – and she didn’t flinch. She gave honest answers to both questions, which was great. If you’re listening to this show on the radio, thanks for listening. Please make a note of the station and time the show is on so you can tune in again next week. If you’re listening to this in podcast format, please subscribe on iTunes, or whatever other podcast service you use, so you can get the show every week. Today’s podcast includes bonus content that we didn’t have time for on the radio show, so if you want to hear my thoughts on what it’s like to appear on reality TV, that’s next up for our podcast listeners only. For more information on today’s show you can go to hoyes.com to see the show notes, and we encourage you to leave your comments right there on the website. For any of our shows you can go to hoyes.com, click on the blog, go to the podcast link, just search for the word podcast, you can read our show notes, get links to everything we discussed, and even listen to the show again on your computer. That’s hoyes.com for full show notes. And we encourage your comments; we’d love to hear from you. If you’ve got suggestions for future shows, feel free to leave them right there on the website. Until next week, I’m Doug Hoyes, this was Debt Free in 30. This is the bonus content segment here on Debt Free in 30, I’m Doug Hoyes. Our radio show that appears on the radio is 30 minutes long, which ends up being 22 minutes by the time you take out all the commercials and everything, so we don’t have a whole lot of time to go into a lot of depth. Not as much depth as sometimes I would like. So that’s why we’ve got this bonus segment for our podcast listeners only. I’m not subject to any time constraints, I can talk a little bit more. I thought today it would be interesting to chat briefly about reality TV. My guest on this show – you’re listening to show number three – was Gail Vaz-Oxlade, who, of course, as you all know, was the host of three different reality television shows. And the first question I asked her in the show was hey, why aren’t you doing them anymore? These were big budget, big dollar things, what’s the story? And her answer was well, you know what, they weren’t as real as I would like them to be. The producers always want you to make the situation look worse, look more dire, and I what I really wanted to do, Gail said, was to help people. I wanted to be an educator – show them what they were doing wrong, give them the tools to not make those mistakes in the future. I agree with her assessment because I had the opportunity to appear as a guest expert on all three of her shows. So the first show that she did was called Till Debt Do Us Part – I think it ran for about seven years – and I was the guest expert on one of the last shows. And for those not familiar with the format, each of those shows had one couple who obviously had debt problems – that’s where the Till Debt Do Us Part name came from – and Gail would analyse their situation, make a list of all their debts, figure out what their situation was, and then she would give them a list of challenges that they had to complete to teach them better money management. If they completed a challenge they would get a financial reward at the end of the show, which, I guess, was the main reason people would go on the show. So I was asked to appear as an expert on one of the shows, because Gail thought boy, these people are in such bad shape they may have no choice but to go bankrupt. And I remember we recorded that segment of the show at my Mississauga office. We had a boardroom there and so we did it one evening. The couple came in and there was some kind of producer person who was coordinating everything. There was a guy with a camera, the cameraman, and then there was a sound person. My recollection is there were only three people there other than the couple. And I said look, I’m not an actor, I’m actually a real bankruptcy guy so I have to ask them a bunch of questions, get the whole story. And they said no problem, we’ll just film everything. So literally we filmed what would be a typical consultation for me when I’m meeting with somebody in financial trouble. I asked them who they owed money to, what assets they had, what their income was, what their goals were, and so on, and got a bit of a picture of the story. And then I gave them some advice as to what they needed to do – and this was many years ago, I can’t remember the exact specifics of the show, but I’m sure if you go online you can probably still see the show even today, and these shows still run on TV. What I do remember quite distinctly was I believe we filmed for somewhere between two and four hours, and it was a long time. They only had the one guy working the one handheld camera, so if the camera was on the couple and I said something then I’d have to say it again, because hey, we didn’t get that, that was good, let’s swing the camera around and get you saying that. So it took a lot longer to go through what we were saying. And of course if I said something particularly profound, great, can you say that again, let’s get a long shot of that, let’s get a closer shot of that. So it ended up being not real at all because you kept redoing something over and over and over again. And by the time the show got on the air, I think the four hours that I had filmed ended up being something like 10 or 20 seconds. Me saying well, I think you’re in bad shape, or whatever, and that was it. But that’s the way it is. It’s a 22-minute show – obviously they’re not going to have the bankruptcy guy on for a big chunk of it. That was the first show I did. The second one was a show called Princess, I believe. And that particular show, I believe we filmed that in my Mississauga office, if I’m not mistaken. The production values had increased by that point, and by the time I did the third show, which was Money Moron, again, even more production value. That second show – I think the Princess show I might’ve actually have done two episodes of that. I remember doing one in our Mississauga office and one in our Toronto office, and it was the same kind of idea, except in that case it centred around one person as the subject of the interview. And by the final show, which was Money Moron, the production had greatly increased, so we actually filmed it, as I eluded to in the podcast today, at the couple’s house. And when I got there – I remember it was a Friday morning, I think it was in June, so it was fairly warm out; I, of course, was wearing a suit and everything – there were tons of people there. So there were two camera people, not just the one that we had had at the first show; there were two directors, so they had the cameras plugged into the monitors so they could see what was going on; there was a sound guy who got our mikes wired up, but that also was controlling all the sound; there were some prop people who were making props – I forget what they all had to do with it; and then there were a whole bunch of people, I’m not sure what they were doing but they were all with the show. So there were probably somewhere between a dozen and 20 people at this. And I thought wow, this is really advanced. The first time I did this show there were two or three people, handheld cameras, now we got cameras, we got lights, we got everything. The first time I did the show there was no lighting or anything, it was just like you doing a home video. By the end of it it had gotten much bigger. And that’s why, I guess, I was kind of surprised that Gail stopped doing the show, because I thought wow, if they can spend the money to have 15 people here at the filming for just this one segment of this one show, it must be pretty financially successful. There must be lots of money here, she must be making lots of money on it. I have no idea if she made good money on the show or not, but as she said, it wasn’t really real. And you know what? I would have to agree with her assessment, because, again, in the final show I did we spent an hour, an hour and a half, two hours, whatever it was, going through all the different options. And I think in the case of that couple, if I remember correctly, their situation wasn’t quite as dire as perhaps it originally seemed. They did have the ability to increase their income, there were some other things they could do, so there was no need for them to be filing bankruptcy or anything like that. And I kind of left there thinking well, you know, they weren’t in as bad a situation as most of the people I see. Most of the people I see are really at their wit’s end. In this couple’s case, well, yes, they had some challenges, but there were things that with some work they were able to recover from. So when you watch the shows on TV, as Gail said, it generally makes things look a lot worse than perhaps they really are. Of course the show has to be entertaining, it has to be interesting, so if they film for two or three weeks, and at one point for 30 seconds during the filming one of the people on the show raises their voice, that’s what you’re going to see on the show. And even though they might’ve been completely calm all the rest of the time, well, that’s not necessarily what you’re going to see. So it isn’t really reality, but there are still some good lessons, I think, from all of those shows. And I think Gail’s basic message of responsibility, taking care of yourself, making sure you know where your money goes, is important. Personally, I’m not the kind of guy who watches TV. I can’t sit down and watch shows for hours on end. If I want to learn something I’m much more likely to want to go on the internet, read about things there, talk to professional advisers, read books, and so on. But I think for a lot of people, hey, you know what? At the end of a hard day’s work you want some relaxation and you also want to be entertained. That’s what those shows are all about. But you’ve got to realize they are not reality, they’re reality TV. You’re being presented a subset of what perhaps reality actually is. So what’s my advice? Yeah, by all means, if you want to watch those shows that’s certainly up to you. Remember that they are entertainment much more than they are designed for education. But take notes while you’re watching those shows, and if you hear things that are of interest, well, that’s when you then go back and do some further research on it. In the show notes to this episode, which is show number three, you can go to hoyes.com. I’ve got links to Gail’s website, Gail’s new website, her mymoneymychoices.com website. There’s tons of resources there, really good resources, to help you on this journey. Her books are actually excellent. Her Money Rules book, which is her last one, which I referenced in the show and I’ve read it, it’s got some fantastic stuff in there. And it’s not that horribly complicated to understand if you take the time to read it. So, frankly, if I wanted to improve my money management skills I think I’d be a lot more – I’d be focusing a lot more on things like those kind of books, as well as resources on the internet, talking to financial advisers, friends or family who seem to be doing a good job, as opposed to taking a lot of advice from perhaps reality shows which may not be reality. But that’s just my take on it. That’s our show for today, that’s the bonus segment here on Debt Free in 30. Thank you for listening. As always, I’m happy to hear your comments in the show notes; hoyes.com is where you can leave them. I’m Doug Hoyes. Until next week, this was Debt Free in 30.